Another year, another adventure! We’re heading to a new destination this month because of a fantastic opportunity. As is common in the expat life, we’re moving somewhere new because we have itchy feet and we also see a new location as a fun new challenge. After we were married in Edinburgh, I had to submit my application for residency to be allowed to remain in the UK. It took seven months to process the application, during which time we could not leave the country. We had no passports and no control over how long that process might take. When we so desperately needed to distract ourselves from home, we were stuck. When I so desperately needed to escape the Scottish weather, I was trapped. Enter: housesitting. Housesitting is the ideal way to go somewhere new, live like a local, and stay for free. While there are many websites offering housesitting opportunities, we opted to join TrustedHousesitters. They offer pet owners the chance to find animal-loving housesitters to specifically care for their pets. Since we lost Lina, we’ve both missed her love and comfort in our home. While we wait for another dog to ask us for a home, housesitting while pet-sitting sounded absolutely ideal. Another reason we specifically like TrustedHousesitters is its variety. There are housesitting opportunities in over 140 different countries! This can be an excellent way to travel the world as a digital nomad, as a retiree, or as a family. As soon as I signed us up on the website, I applied for a housesit in Southern France. A week with five adorable French cats in a picturesque small village was just what I needed to revive my adoration for travel and for animals. I felt rejuvenated and whole again. While I was there, we heard back from another housesitting application I’d submitted. We were offered the housesit, which entails five months in Ireland taking care of a beautiful one-year-old puppy while her human will be away. Ireland. For several months. With a fluffy puppy. This is where you’re allowed to squeal in excitement! So off we go for another adventure! Of course, with every single move we make, logistics and paperwork follow. While I might make it sound easy to bounce from country to country without a care, it’s because I enjoy logistics and planning. Many people don’t. Most people abhor the moving process entirely. I don’t mind doing the research and planning ahead for all necessary legal requirements. Unfortunately, there are often things we can’t plan for. I didn’t anticipate the length of time my UK residency application would take since I also didn’t anticipate the Brexit vote backlogging the UK Home Office so dramatically. Luckily, since my Irish-Colombian is, well, Irish, this particular move should not (fingers crossed!!!) cause a similar problem. We’re packing up our suitcases filled with heavy winter clothes (I’m still not adjusted to the climate here, but I’m surviving and making the best of it!). We’re lugging all of our dive gear and my Irish-Colombian’s newly acquired gym equipment for his new personal training business. And by the end of January, we’ll be settled into a new home with a furry friend to snuggle. Here’s to a new adventure in a new expat home. 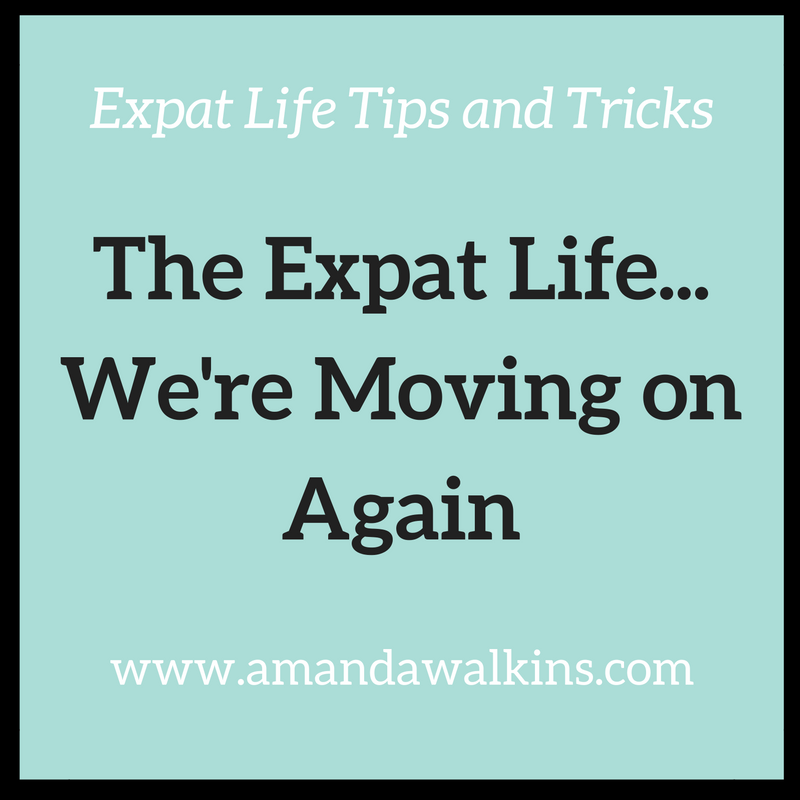 It’s the expat life…moving on again and again!